Taking inspiration from London’s Royal Court Young Writer’s programme, Theatre Royal Brighton Young Playwrights is all about writing for performance. 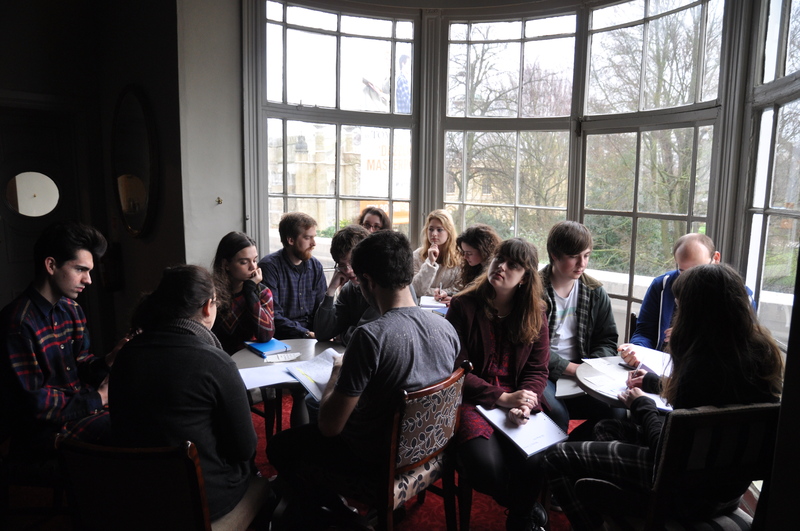 Run in association with New Writing South, aspiring playwrights aged 16 – 25 are supported to find their style, shape their voice and find the best form to say what they want to say to the world. At the end of the course your words will be brought to life in a rehearsed reading with professional actors and director, in front of an audience in one of the oldest and most beautiful theatres in the country. The course includes structured workshops, mentoring, at least one visit to a performance, and talks from Theatre Royal Brighton staff and key people in the arts. Theatre Royal Brighton is a playhouse and in its 200 year history it has presented plays by famous writers, established writers, and new writers. It is the natural home for people who have a passion for writing about and for theatre and offers the Theatre Royal Brighton Young Playwrights the inspiration, ambition and experience to turn their dreams into reality and their words into performance.